Akhundzada is now believed to be in hiding after crossing the long and porous border between Pakistan and Afghanistan. Kuchlak, Pakistan: For 15 years until his sudden disappearance in May, the new leader of the Afghan Taliban insurgency openly taught and preached at the Al Haaj mosque in a dusty town in southwestern Pakistan, associates and students said. Details of Hibatullah Akhundzada's life in Kuchlak, near the city of Quetta, have not previously been reported, and could put further pressure on Pakistan to do more to crack down on militants openly living there. A spokesman for the US State Department's South Asia bureau said it was not "not in a position to confirm Hibatullah Akhundzada's whereabouts, past or present." Akhundzada is now believed to be in hiding after crossing the long and porous border between Pakistan and Afghanistan, but not before going untouched in Kuchlak, located in Balochistan+ province, as he rose up the ranks of the Afghan Taliban. 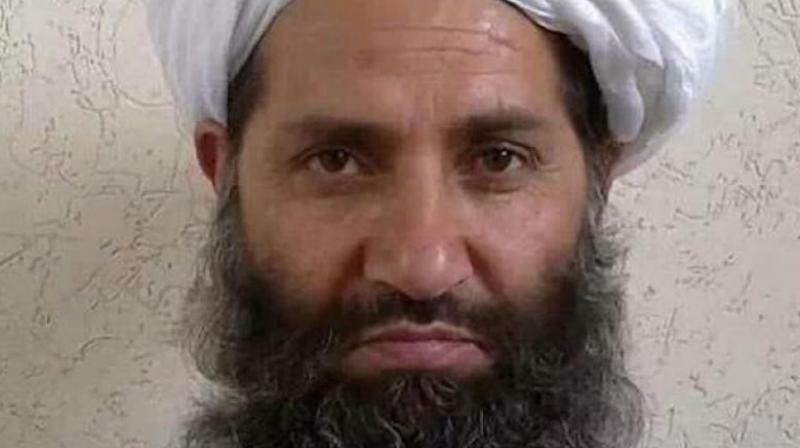 He was promoted to "emir" in May after a US drone killed his predecessor, Mullah Akhtar Mansour+ , in another part of Pakistan, a strike that infuriated Islamabad but reflected growing impatience over what Washington sees as ambivalence towards its enemies. Five years earlier, US forces stormed a compound near the Pakistani capital and killed al-Qaeda's leader Osama bin Laden. "I strongly reject any organised presence of Taliban in Balochistan," Sarfaraz Bugti, home minister for the province, told Reuters. Several associates said Akhundzada lost family members in the Afghan war following US-led military intervention to drive the Taliban from power in 2001. "He spoke with a lot of force about the US and the war and that we would not give up our jihad, that we would never negotiate with the puppet government in Afghanistan or talk to the US," said Khan, now an activist for a pro-Taliban party, Jamiat Ulema-e-Islam-Fazl, in Quetta. "Do you believe a most wanted figure like ... Akhundzada would live in a prominent place like Kuchlak and run a madrassah there when US and Afghan forces and their security agencies are desperately trying to either kill him or capture him?" Elsewhere in Balochistan province, supporters of the Afghan Taliban said Akhundzada was well known. Bugti, Balochistan home minister, said Pakistan had taken measures to stop militants criss-crossing the frontier, including tougher checks that would stop Taliban fighters using fake Pakistani documents to travel, as Mansour did before he was killed.